Soylent Just Scored A $50 Million Series B Round, But Can They Expand Their Base? Millennials are obsessed with food, outspending other generations on restaurants, and forking over $96 billion a year on food, but for techies In Silicon Valley, eating isn’t a pleasure, it’s a productivity pain-point. 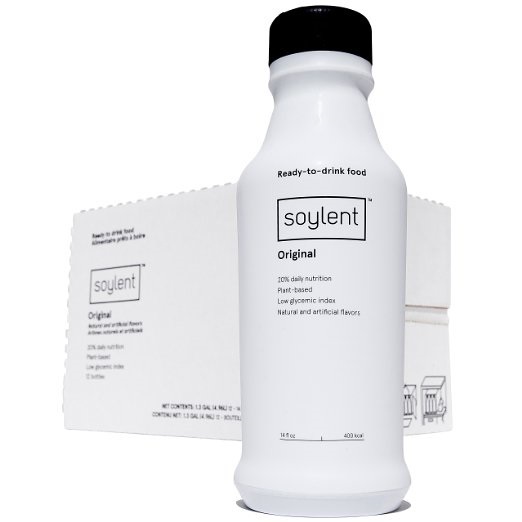 Available in the U.S. and Canada, Soylent was invented in 2013 and introduced in 2014 after a crowdfunding campaign that generated $1.5 million in preorders. The co-founders had met while working on separate startups but living in the same house. Frustrated with the cost, time-loss, and pain of food prep, CEO/Founder Rob Rhinehart, alongside co-founders Matt Cauble, John Coogan, and David Renteln, developed Soylent as an experiment. Technically it’s a meal replacement product – think ‘70’s SlimFast rebranded with a provocative brand name – positioned as proudly pro-GMO in packages with a pared-to-the-bone design. The ready to drink and powder formulations both provide 20% of daily nutritional requirements regarding calories and micronutrients, with fiber being lower in the drink – only 12% vs. 20% in the powder. Appealing to the highly driven tech community and college students, L.A. based Soylent has just scored $50 million in fresh funding in a round that brings the company’s total funding to $74.5 million. The round was led by GV’s Andy Wheeler who has joined Soylent’s board of directors as part of the deal. Other participants include Tao Capital Partners and previous backers Lerer Hippeau Ventures and Andreessen Horowitz. Soylent has sold its line of products exclusively on Amazon.com, but the new funding will in part go toward introducing the brand to grocery stores, convenience stores and “mass market” retailers. Rhinehart told an industry publication that it was too soon to give specific details about the timeframe or size of the retail launch, but said the company’s goal is to expand their consumer base as far as possible into the mainstream mass market. He declined to discuss the pricing strategy. Soylent’s 14 oz. Ready-To-Drink line is currently sold only in 12-pack multipacks for between $34 and $39 per bundle. The new funding will go toward product innovation, adding new production facilities, and expanding the brand outside of the U.S. to Europe, Rhinehart said, adding that the company is currently is working on several “new innovations in product categories.” The company expects to release two or three new flavors this year to add to a lineup. Those flavors include a coffee-flavored, chocolate and fruity nectar varieties along with its chalky original flavor. It’s a smart move considering that when purchasing nutritional and performance drinks, the most important factors for U.S. consumers are favorite flavor (41%), the amount of protein (40%) and high fiber (33%). In 2016 consumers became ill after consuming Soylent’s powder mix and protein bars. The company, which determined the cause was algae-based ingredients, reformulated the powder, but to date, the bars do not show up for sale on Amazon.com. In April 2017, Soylent issued a voluntary recall after finding that a small amount of milk product may have contaminated batches of its Soylent 1.8 powder. “People who have an allergy or severe sensitivity to milk run the risk of serious or life-threatening allergic reaction if they consume these products,” an announcement of the voluntary recall on the Food and Drug Administration’s website noted, adding that the company had not received any reports of illnesses related to the undeclared dairy. Analysts forecast that the global market for meal replacement products will grow at a CAGR of 7.1%, and will be worth $20B by 2020, driven by e-commerce and retailers increasingly shifting online to gain better visibility and offer purchasing convenience. The list of multinational meal replacement product players includes Abbott Nutrition, Herbalife, Kellogg’s, and SlimFast, along with Amazing Grass, Glanbia, GSK, Healthy ‘N Fit International, Kraft Heinz, MET-Rx, Nouveau Dietetique, Nutiva, Nutrisystem, Onnit Labs, Orgain, and Ultimate Superfoods. 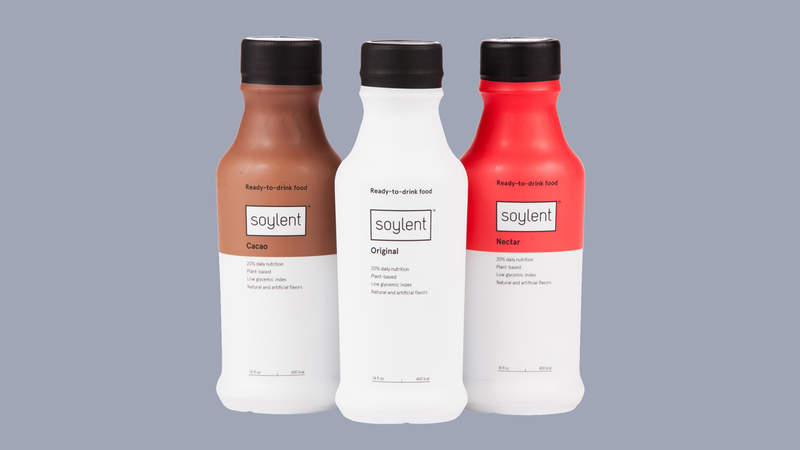 Products introduced by startups after Soylent include EU-based Joylent (now called Jimmy Joy), along with Mana, Keto Chow, 100% Low Carb Raw and KetoSoy. For those passionate about meal replacements, there is also several online communities for discussing and sharing homemade recipes. Will Soylent ultimately feel the squeeze like Juicero, or is it a category-killer in the making? The association with Soylent Green casts brand-name shade, while the history of food safety issues is not optimal for a product set to enter a world where retailers will not appreciate repeated product recalls. Even with its cult following, some reviews of current product variants, (e.g. the Cacao flavor) on r/Soylent are less than pleasant. Millennials are foodies and will expect flavor and taste appeal (mouthfeel) without the downside of flatulence or any other adverse digestive effects. The ‘Proudly Pro-GMO’ positioning precludes, at least perceptually if not scientifically, Soylent from the organic sector – the fastest growing sector of the U.S. food industry. Having to eat is a productivity “pain-point”? LOL. I never really look at it that way, but eating does get in the way of production. Good point! Expand their base? They just won the jackpot with funding. I hope they can expand and give the investors what they are looking for! It seems like a lot of trouble the company has gone through already in its short life. Hopefully they can make a product that works, costs less and does not get people sick. The cost of getting people sick with your own products cannot be very low. With all of this funding, you would think they have that part of the plan figured out. Quick meal replacements are going to be a huge industry. IF I can down one of these and feel like I just ate some lunch, that’s fine with me 🙂 I wonder, in a market like today’s, why any company would sell outside of Amazon. LOL, me too. I love that episode of the Simpsons! I am surprised that anyone else thought of the same thing!